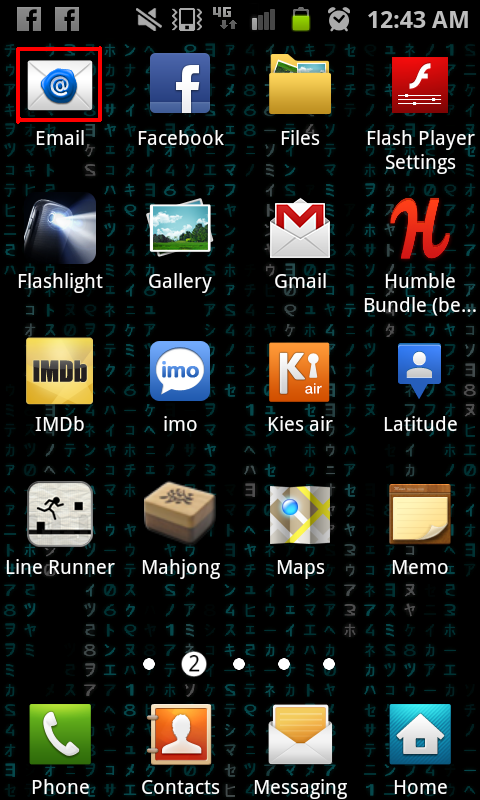 Open the list of applications on the Android by touching "applications"
Find "email" and touch that one. 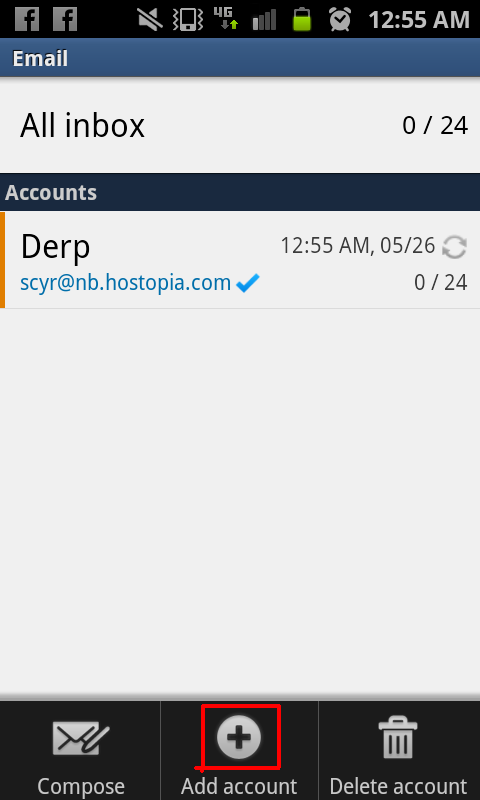 Touch the name of the already existing account on the top left to bring up a list of all email accounts. Hit the menu button which is not shown on the screen shot. The style of the button is different on different phones but it is usually on the bottom next to the "home" button. On this screen hit the "add account" button. You don't need to enter anything on this screen. 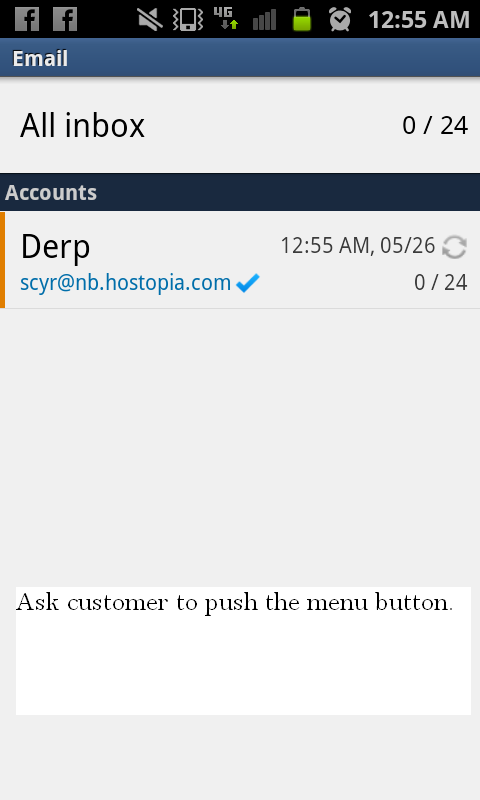 Simply hit the manual setup button to get to the screen for entering mail settings. 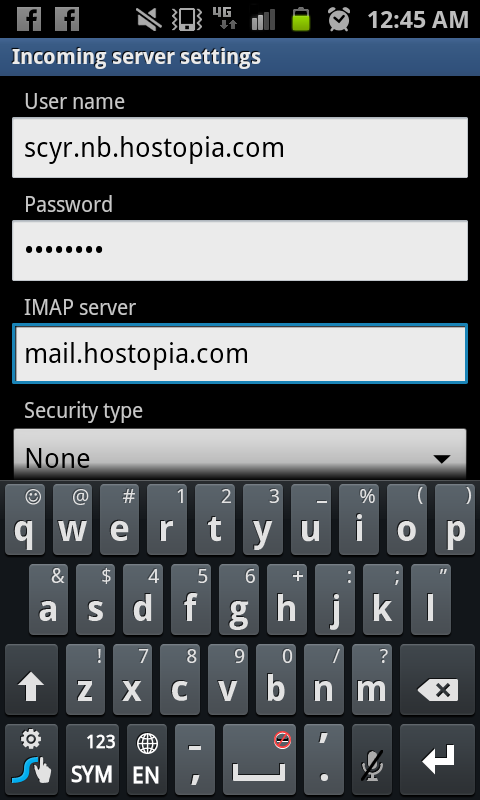 Choose what type of account you are creating, generally an imap account but pop works as well. 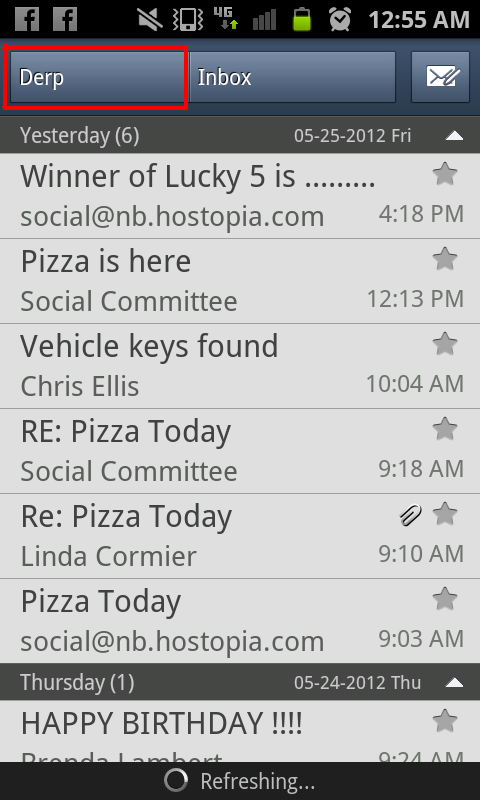 Scroll down a bit and be sure the port is set to 110 for pop or 143 for imap. Security and prefix can be left as none and blank. Hit Next. Your outgoing settings will be essentially the same as your incoming settings. Make sure you click "require sign-in" on the bottom "security type" can stay as "none" and port should be changed to 1025. 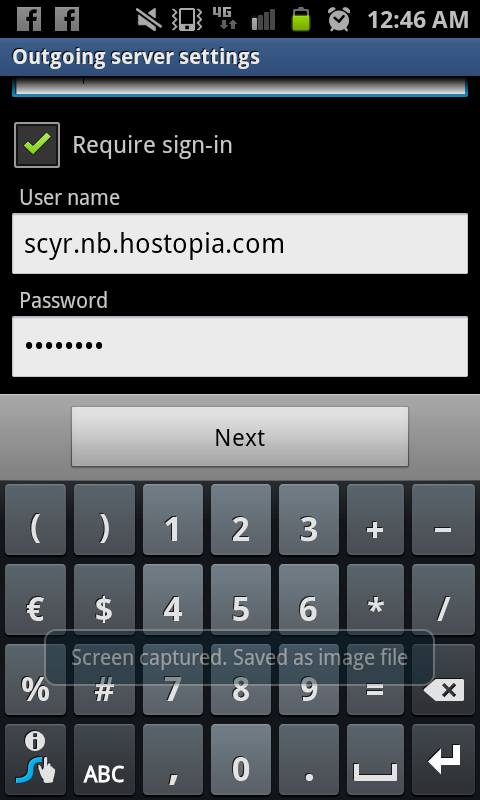 Scroll down and you will see a place for your username and password again. These are the same as your incoming credentials. Hit next. These settings are up to the user's preference. They can set them to whatever they want and hit next. These settings are also up to the user's preference. 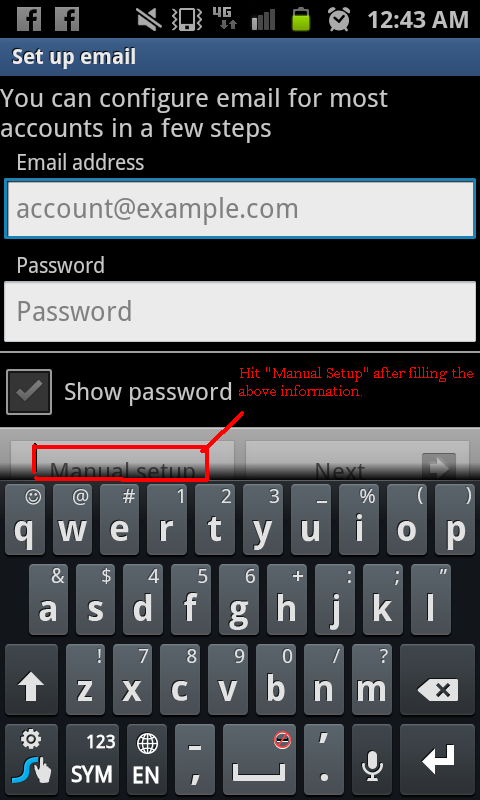 The account name will be what the android uses to refer to the account. 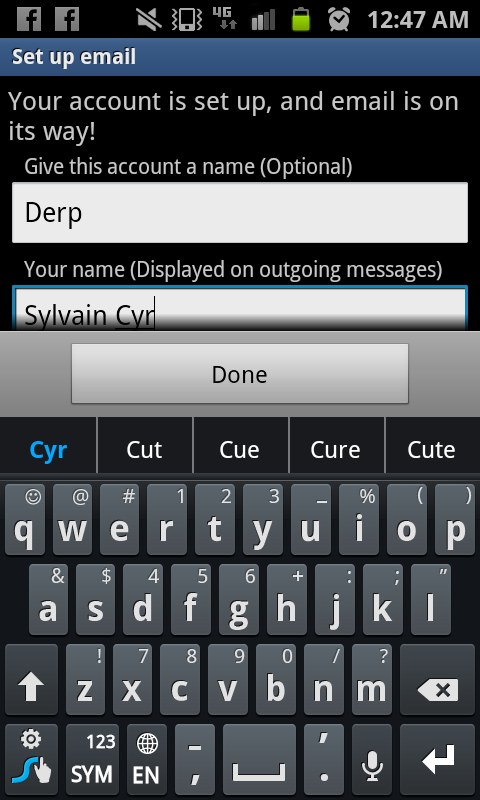 Just like the screen says the "your name" part will be displayed on outgoing messages.